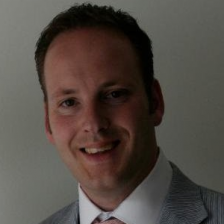 Guus Schellekens is the IT Director for UPS in Europe, based out of Eindhoven, the Netherlands. Together with a team of over 400 other IT professionals in Europe, he delivers business value for the Europe region in the domains of Hub and Fleet automation, warehouse- , shipping- , and transportation-management systems, integration of acquired companies and e-commerce solutions. UPS, with its Headquarters in Atlanta, Georgia is the world’s largest parcel logistics company with $72B revenue in 2018. The company is currently accelerating its digital transformation program to build a fully tech enabled network utilizing IOT, big data and machine learning. Guus brings 20 years of experience in product development with strong focus on the digital innovation space, where prior to UPS he worked on new product development in Philips, launching products such as DVD recorder, Blu-ray and Home media center.